Talented silent actress Marion Davies is best known (when people recognize her name) not for her movies, but for being the mistress of newspaper magnate William Randolph Hearst. And of those who do know of her, many of them probably think of the shrill and talentless Susan Alexander, a role based on Davies in Orson Welles' Citizen Kane. Unfortunately, Welles did a huge disservice to Davies in his masterpiece (something he admitted in later years) and the truth is that Marion Davies is a very talented actress and a wonderful comedienne. Hearst did back many of her movies and gave Davies an incredible amount of publicity in his newspapers. He preferred her to appear in classy, elegant films, and since he was writing the checks he got his way (at first). 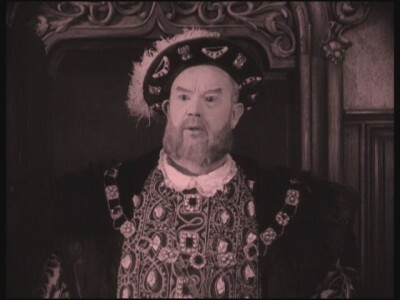 One of the biggest productions that he backed was the costume drama When Knighthood was in Flower, a film concerning the royal family in England with Marion playing the sister of King Henry VIII. Mary Tudor (Marion Davies) is an attractive, energetic, and headstrong young lady of 16 who is the sister to the ruling monarch of England, King Henry VIII (Lyn Harding). At the jousting tournament held to celebrate the anniversary of her birth, Mary meets a handsome young commoner named Charles Brandon (Forrest Stanley) it's love at first sight. Being a princess in the 1500's means that you don't get to pick your spouse and Henry has grand plans to wed his attractive sister to someone who can increase the power of England. While there are several good candidates (none of whom is appealing to Mary) Henry settles on marring his sister to one of the most powerful monarchs in Europe, King Louis XII of France (William Norris). So what if he's old, partially blind, and terribly unattractive? Mary is appalled by the idea. She's in love with Brandon, and he's in love with her, and that's all there is to it. 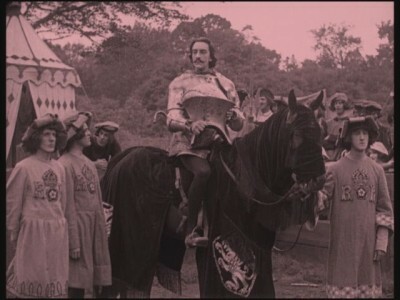 But members of Henry's court, afraid that Brandon's royal friends will gain too much power if the two love birds are allowed to wed, frame the young man for murder. In a desperate gamble Mary and Brandon make plans to run away and ship off to another country. With her dresses as a man they run off with Henry's agents in pursuit. While costume dramas are not my favorite type of film, this one was pretty good. It was created to be a spectacle and showcase for Marion Davies and it succeeds on both counts. Costing the enormous sum of 1.5 million dollars back in 1922, the money can be definitely seen up on the screen. There are a lot of impressive scenes including a jousting tournament, a royal wedding, and large feasts, not to mention a few fun sword fights. Everything from the sets to the costumes was impressive and it's obvious that no expense was spared. 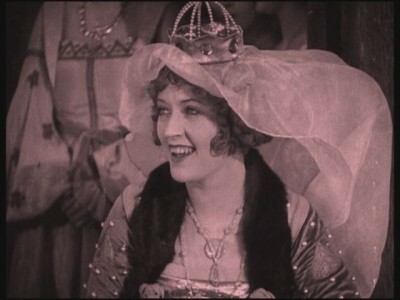 Marion Davies does a very good job too. I really love her comedies (for some good examples check out The Patsy and Show People) but she did a very good job in this dramatic role too. She's passionate and vivacious without going overboard and plays the role just right. 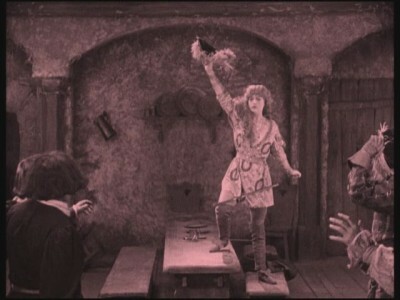 There are also glimpses of her comedic talent in several scenes such as when she's buttering up her older brother to get something that she wants, and when she's being obstinate and refuses to get out of bed to meet King Louis' envoy. This combo pack includes both the Blu-ray and a DVD copy of the film in a single-width Blu-ray case. This movie has been preserved by the Library of Congress from the only surviving print, a 12-reel read-show edition of the film, and it looks magnificent. The contrast is very good and the level of detail is excellent. There are a few minor scratches in places, but overall this looks much better than a film from 1922 has any right to look. The score was composed and performed by Ben Model and it is excellent. The music accents the action on screen without being over-the-top or pulling the viewer out of the movie. (If you've ever seen a silent movie where "Tea for Two" or "Row, Row, Row Your Boat" is played, you'll know what I mean.) The score is executed well, and there are no audio defects. A very nice sounding film. There are no extras on the discs, but the set does include a 16-page booklet with an essay by Lara Gabrielle Fowler. It's a nice piece, going over the production and marketing of the film, as well as giving some background to Marion Davies and William Randolph Hearst. 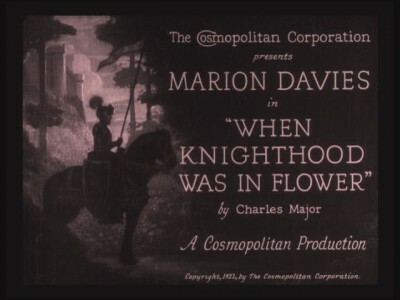 A grand spectacle from 1922, When Knighthood was in Flower is a top-notch film that showcases Marion Davies talent and what Hollywood could accomplish when money was no object. The print is excellent and the score entertaining. Highly Recommended.